Welcome to our shop, Dear friends! Our store is called ZTY66, we love every customer's business with us. 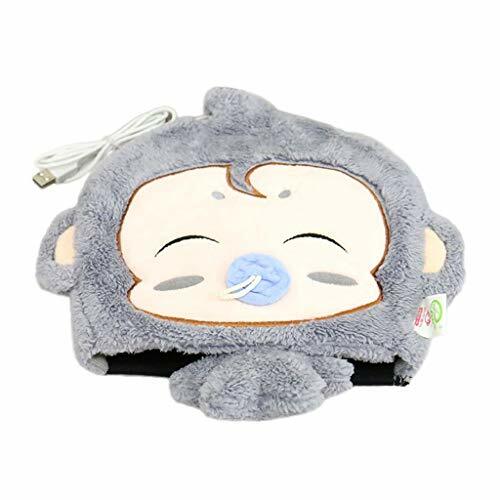 Warmer usb mouse pad dimension:22x 21cm,The interior is approximately a circle with an perimeter of 8.3 inches and the height is 3.5 inches. Supported by computer USB power or 5V phone charger or portable power bank,it also with a wrist rest. Constant temperature:Keep the temperature at 113 degrees Fahrenheit(45 degrees Celsius),never afraid to use computer in cold winter,Comfortable. Mouse pad cable length:47 inches(120cm),The cable is power only,can not use for data transfer,the mouse needs to connect to an other computer USB port. If the heating pad is installed at the bottom of the mouse pad, we put the hand on the mouse when we use it,Only the bottom of the mouse touches the heating part, which will cause the mouse to be damaged and the hand will not feel warm. Mouse pad cable length:47 inches(120cm),The cable is power only,can not use for data transfer,the mouse needs to connect to an other USB port of the computer. Our Standard Shipping is about 15-28 days will be arrived ,Expedited Shipping will be 3-7 days thanks for your your support .